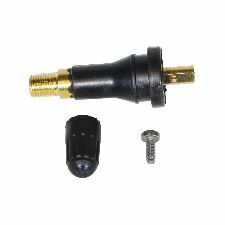 Showing 1 - 7 of 7 Products for Tire Pressure Monitoring System Sensor Service Kit. w/o Valve OE Style 25 Per Box No programming required. Install sensor and follow the OEM factory relearn procedure. 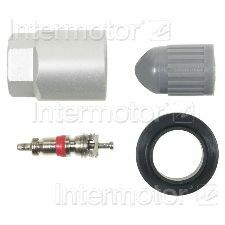 A full line of complete TPMS service kits including valve cores, valve nuts, seals, washers and valve caps. 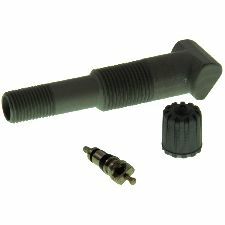 Our TPMS sensor kits are precision engineered with high grade material for peak operation, enhanced performance and a long service life. 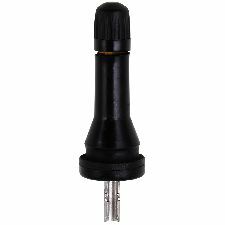 A full line of complete TPMS coverage, matching the OE form, fit and function utilizing high grade materials and technology. As a global manufacturer of emission components, complete quality control is maintained through the manufacturing process from componentry to finished product. Service kits and components to maintain DENSO’s First Time Fit TPMS Sensors. All VDO brand TPMS parts are OE validated for fit, performance and reliability. Continental is a pioneer in TPMS and tires, with over a century of tradition and expertise leading the automotive market with state of the art technology and innovations. OE validated part identical to the dealer. Electroless nickel plated valve cores. 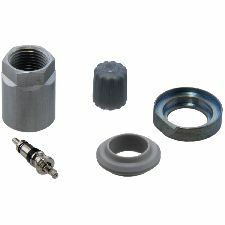 Includes valve core and stem cap. Then, now, and into the future, we will be there for you, our customer.